Jurong East is a planned city located in the west of Singapore. It is also a residential area with various facilities catering toward those within the neighbourhood and residing nearby. 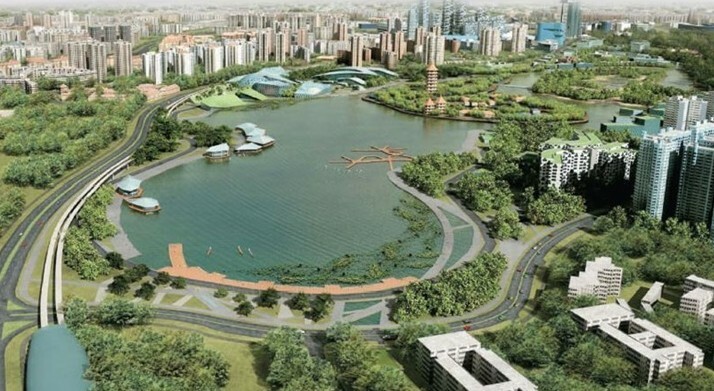 Jurong East is divided by 10 subzones and along with it, many other amenities and facilities as well. 30 minute drive to Changi Airport. This bird sanctuary is home to over 5,000 birds across 400 species, making it Asia’s largest bird park. This bird sanctuary is divided into numerous aviaries, reflecting the natural habitat of each bird species. There are also a number of fun activities like feeding session and dining with the birds that makes the visit to the Jurong Bird Park all the more enjoyable. The Chinese Garden is a product of Chinese Imperial architectural features with the tranquility of the natural environment. The garden is also equipped with many features that project the essence of the Chinese culture, appealing to fellow photographers and sightseers. Among them include the Pagoda, the stone lion and more. Bus travels to and from Jurong East to many other cities has never been easier.. There are several bus services at convenient timings from Jurong East that are available for booking online on Catchthatbus or via mobile app which can be downloaded for free on Google Play or App Store.